The Cook N Home 10-Piece Nonstick Coating Cookware Set, Red includes: 1 and 2 quart saucepans with lids, 3 quart casserole pot with lid, 5 quart dutch oven with lid, and 8 and 9.5-inch fry pans. 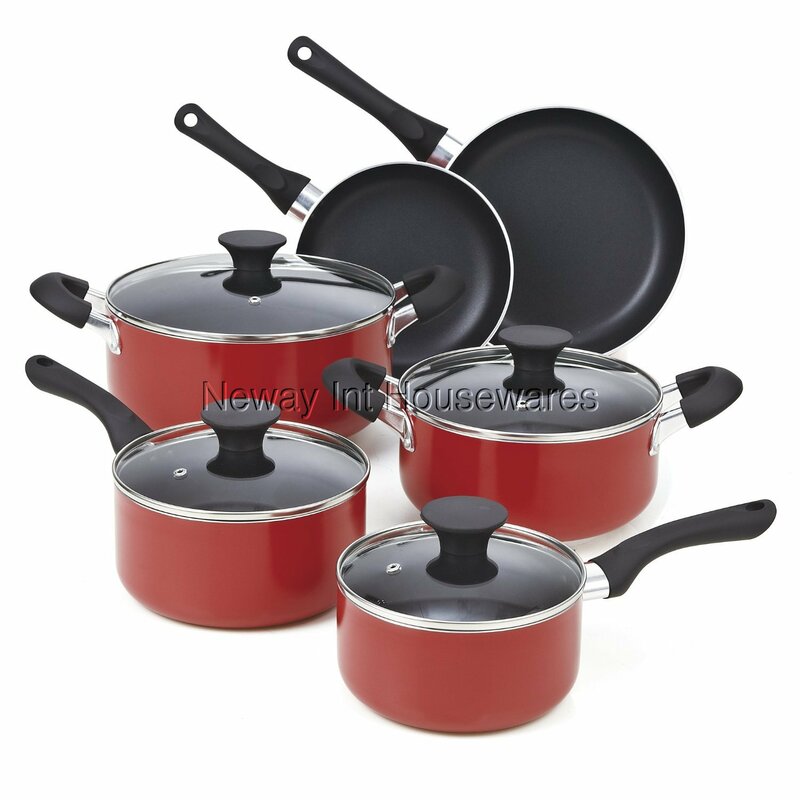 Cookware is made of thick gauge aluminum for even heat conduction and prevents hot spots. Coating is a 2 layer system that offers superior nonstick performance with scratch resistance. Anti-slip coating on handle provides comfort and stays cool during cooking. Tempered glass lids with steam vent makes viewing food easy from start to finish. Not Induction compatible. Works on: electric, gas, glass, ceramic, etc. Not oven safe. Dishwasher safe.